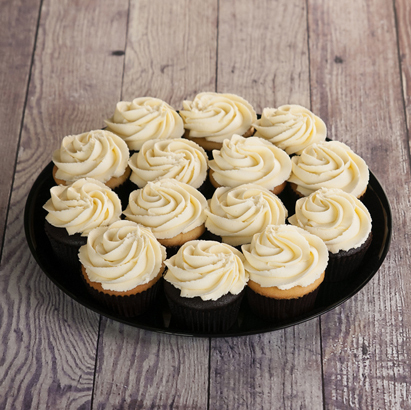 A tray filled with our basic cupcakes ready to display and serve. Small tray holds 14 cupcakes. Large tray holds 30 cupcakes.